Google VP Brad Bender announces the new tool – which includes details like interests, locations and device usage – is currently rolling out. 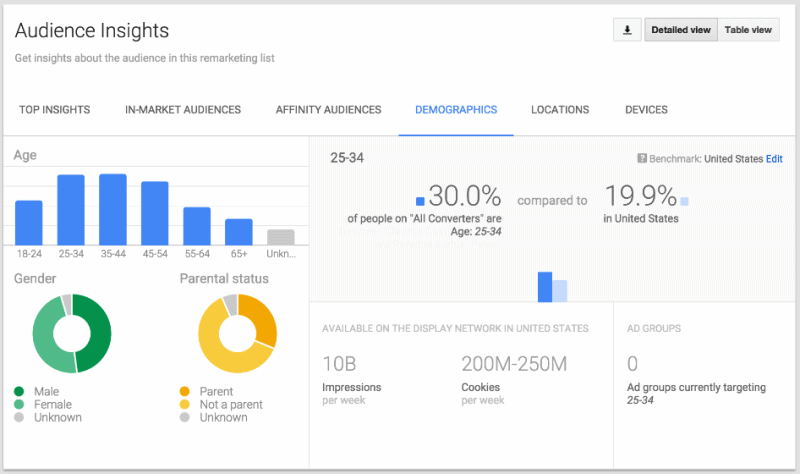 Yesterday on Wednesday, Brad Bender, Google’s VP of product management for the Google Display Network announced Adwords Audience Insights report that outlines details like demographics, interests, locations and device usage for people included on an advertiser’s remarketing lists. Bender said the new Adwords tool will allow advertisers to look at people who have bought from them, and better understand their audiences. Bender explained that if most people who converted on your site are jazz enthusiasts, you may wish to add this affinity audience to your campaign. Or, if many of your customers are females between the ages of 25 and 34,you might want to customize your ad creative to appeal to this demographic. Bender said the Audience Insights report is rolling out now, and should be fully available for advertisers during the next few weeks.